The fact sheets include the following topics, though not all fact sheets include all of them, as needed information was not always available. Scientific name: APPW uses the most recently accepted taxonomic names for plants, mostly following those used in The Plant List. Note that within the trade incorrect, invalid, or taxonomically unaccepted plant names are often encountered. Common name: One to several common names are given; not a comprehensive list. Family: Family to which each genus belongs is provided. Similar genera: Other genera that may look similar are listed alphabetically and are linked to their fact sheets. Only genera in APPW are listed as Similar genera, though genera not in APPW may look similar to APPW genera. Native distribution: This topic, worldwide in scope, provides the native distribution mostly at the country, continental, or biogeographic region level, and focuses primarily on the distribution of the aquatic members of the genus (not just those in the trade). 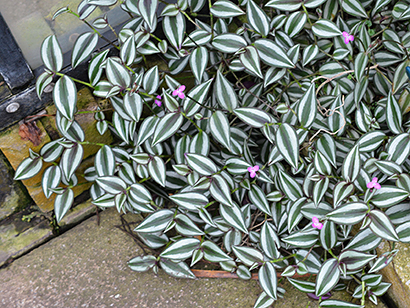 Species cultivated: Lists species (in alphabetical order) within the genus commonly sold in the aquarium and pond plant trade. Species names follow those from The Plant List. As above, because this trade is highly dynamic, this list of species may not be comprehensive. Adventive distribution: As with "Native distribution," this topic is worldwide in scope, and gives adventive (not native to the environment) distribution at the country, continental, or biogeographic region level, focusing on the distribution of aquatic members of the genus (not always just those in the trade) or of one to several selected species. 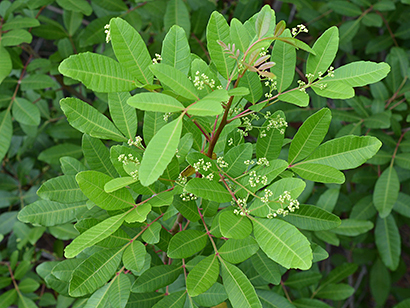 Weed status: Information about weediness, invasiveness, or quarantine status covering the genus or one to several selected species may be given. Although this topic is international in scope, it is not necessarily comprehensive. Habit: This topic covers a plant's general appearance or characteristic form (e.g. shrub, herb, stem plant) and its relation to water (e.g., emergent, floating), for the aquatic species in the genus. Brief description: Selected characters are used to briefly characterize the entire genus or only the aquatic members of the genus; not a complete diagnosis. For some taxa, remarks about morphological differences between some species is given here or in "Additional comments" (see below). Habitat: Describes the natural environment or place where the aquatic species in the genus are usually found. Additional comments: Content of this topic varies; it may describe taxonomic or nomenclature issues, morphological features and differences, or other items of interest. Full references for citations appearing in this topic can be found in the References. The images presented illustrate, for each genus, some or all of the following (depending on availability of specimens or images): submersed, emersed, or other growth forms, habit, vegetative growth, inflorescences and flowers or reproductive organs, close-ups of certain morphological features, and representative cultivars and species. The images are line drawings, color plates, and photographs. Images were chosen to be representative of the aquatic members in the trade in each genus. They illustrate some or all of the species listed in the "Species cultivated" topic (depending on availability of specimens or images). For some genera, images of additional species not listed in "Species cultivated" are displayed; these are useful for comparison purposes. In some cases, only photographs of species not listed in "Species cultivated" were available.